ST. GEORGE – Each Monday morning in St. George, a group of 20-plus people meet to engage in an activity that scares some people more than death – public speaking. No matter the length or topic, not many people relish the thought of getting up in front of a group and giving a speech. 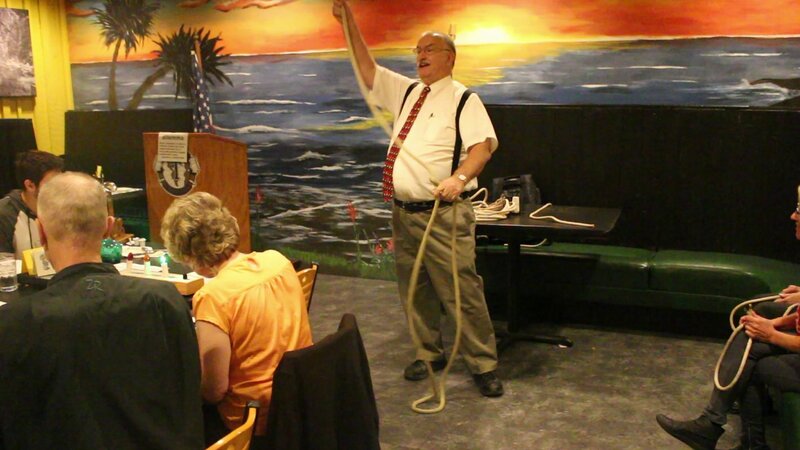 However, the members of the Dixie Tub Thumpers Toastmasters Club not only enjoy learning how to be better speakers and communicators in general, they have fun doing it and invite others to join them. Dabney and other Toastmasters club members decided to create a chapter in St. George 20 years ago as the closest club at the time was in Provo. The Dixie Tub Thumpers Toastmasters Club was officially formed Oct. 1, 1996. The underlined purpose of Toastmasters International, which celebrated its 90th anniversary in 2014, is to help members develop public speaking and leadership skills, current club president Bygnal Dutson said. Becoming a better speaker through the Toastmasters club has helped him build his confidence, Dutson said, and it has benefited nearly every aspect of his life. “If you can speak in public, it’s huge,” Dabney said. The club meets at Ricardo’s Restaurant on the southern end of Bluff Street at 7 a.m. each Monday. The group generally tends to avoid discussion of religion and politics, Dabney said, however, with the elections being just over a week away, it played a part in the conversation and speeches being given. As a club member either directed the meeting or gave a speech, every so often as the high-pitched “bey-HAH” of a horn was heard. It signified when a speaker muttered an “ah” or “um” while speaking. Other times, slaps on the table were also heard as the speakers worked “the Word of the Day” into their wordplay. For that day’s meeting, the word “dilemma” was used, and fit rather well in the context of voter choices for the presidential election this season. “It gives us an opportunity to not only speak well, but to listen and converse well,” said 11-year member Randy Patterson, one of the speakers that morning. “A lot of people have a fear of public speaking and I’d say this is really an opportunity to overcome that fear,” Patterson said. Another reason for people to look into the club is the opportunity to get to know a great group of people, Patterson, Dutson, and Dabney each said. 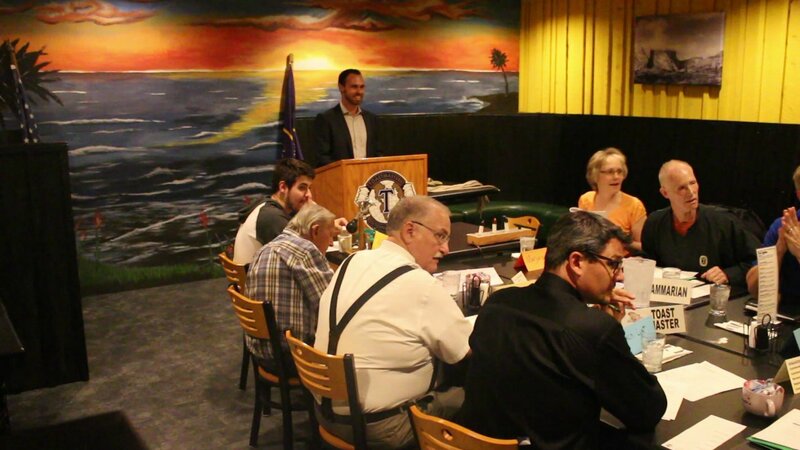 Another part of the meetings involves a session called “table topics” in which one of the club members chooses the topics and calls on others to speak to them. It helps the impromptu speakers learn to think on their feet, Dabney said. As the conclusion of the meeting drew near, the speeches given were evaluated and critiqued, with the horn interjecting every so often. The best speeches according to the category, as well as best speech overall, were also voted on at the end. Bouts of laughter were consistent throughout the meeting. Toastmasters International is a nonprofit that started in 1924 and has grown to encompass 15,900 clubs spread across 142 counties with over 345,000 members. The world needs leaders. Leaders head families, coach teams, run businesses and mentor others. These leaders must not only accomplish, they must communicate. By regularly giving speeches, gaining feedback, leading teams and guiding others to achieve their goals in a supportive atmosphere, leaders emerge from the Toastmasters program. Every Toastmasters journey begins with a single speech. During their journey, they learn to tell their stories. They listen and answer. They plan and lead. They give feedback – and accept it. Through our community of learners, they find their path to leadership. 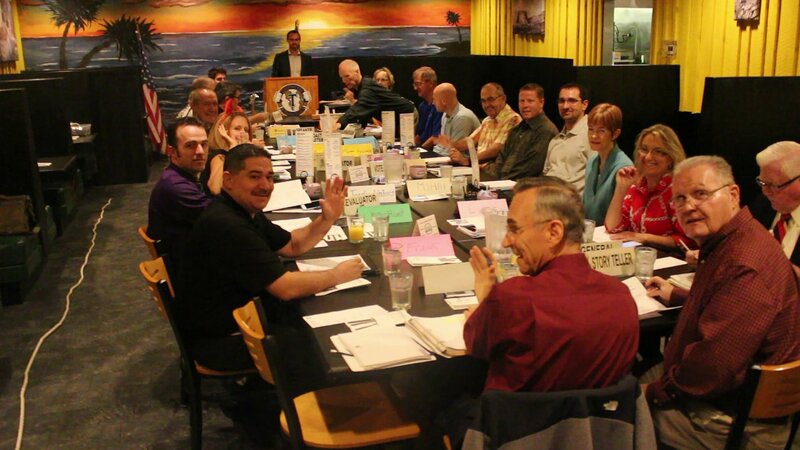 The Dixie Tub Thumpers Toastmasters Club meets at 7 a.m. each Monday at Ricardo’s Restaurant located at 1110 S. Bluff St., St. George. Guests are welcome. Additional information can be found on the club’s website.